I decided to squeeze some further site seeing in the morning as much as I can. 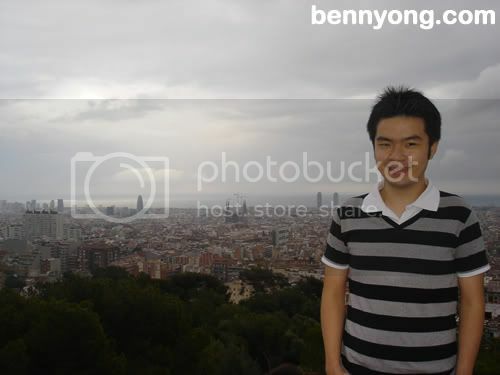 I decided to journey to Park GÃƒÂ¼ell. 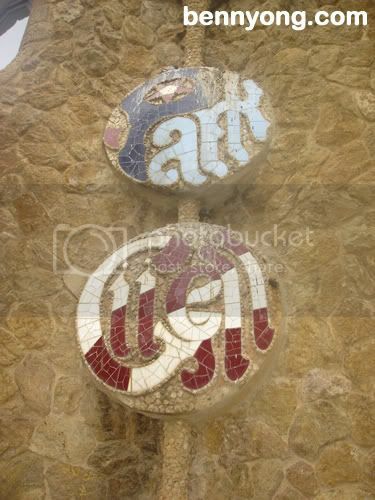 An extract from Wikipedia: Park GÃƒÂ¼ell is a garden complex with architectural elements situated on the hill of el Carmel in the GrÃƒÂ cia district of Barcelona, Catalonia. 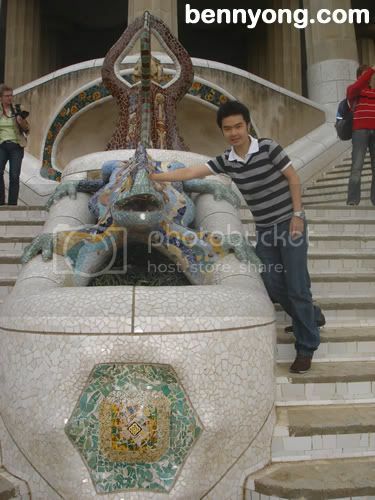 It was designed by the Catalan architect Antoni GaudÃƒÂ­ and built in the years 1900 to 1914. It is part of the UNESCO World Heritage Site "Works of Antoni GaudÃƒÂ­". 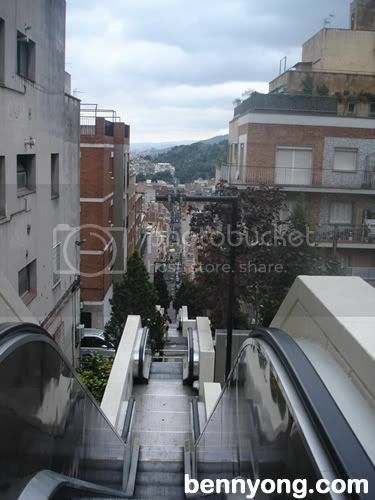 This are the steep road leading to the hill where Park Guell was located. I met an elderly couple from the Philippines at the peak of the park. They help me took this scenic picture. Further venturing in Park Guel, I finally found the iconic lizard. After the park, I went to Barcelona Cathedral. 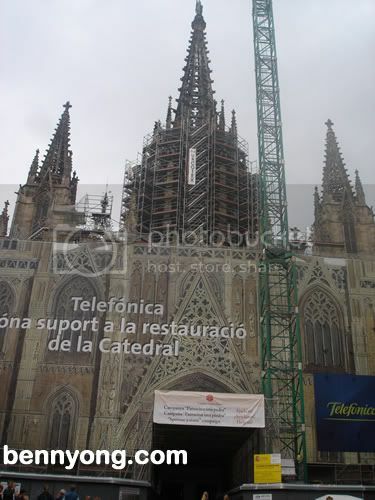 It was a shame that it is covered up with scaffolding. 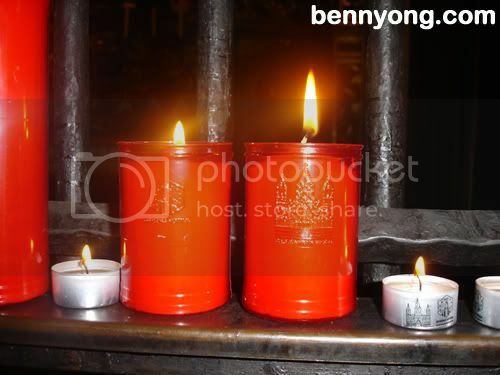 In the Cathedral, I bought this candle for 50 cents and lighted it at St MichaelÃ¢â‚¬â„¢s shrine. That pretty ended my site seeing of Barcelona.